Forbes magazine has ranked Nigerian business mogul, Aliko Dangote, among 75 most powerful persons in the world. Forbes’ made this known in its latest 2018 ranking of the World Powerful people, released Wednesday. The ranking placed Mr Dangote among world leaders like Chinese President Xi Jinping, Russian President Vladimir Putin and U.S. President Donald Trump. Messers Jinping, Putin and Trump were ranked first, second and third respectively in the new ranking. The Nigerian business tycoon was ranked 66th most powerful person in the world ahead of other influential figures around the world. He is the only Nigerian on the list. Mr Dangote, Africa’s richest man, is also one of only two Africans who made the list. Egyptian President, Abdel Fattah el-Sisi, who was ranked 45th most powerful, is the other African on the list. 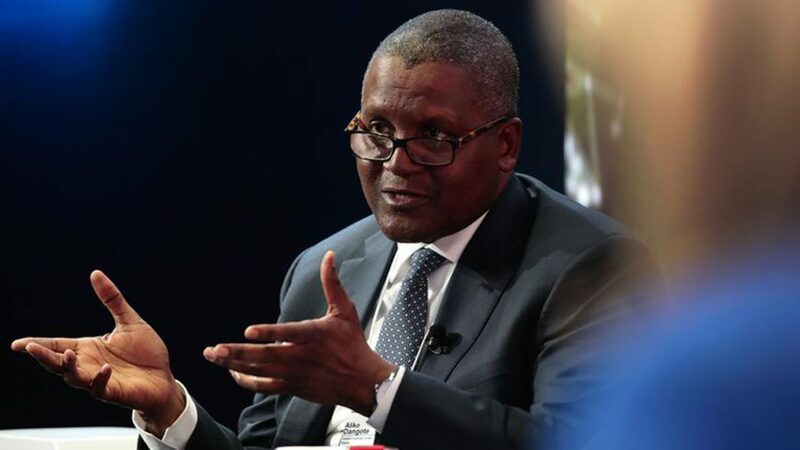 According to the Forbe’s list, Mr Dangote, who owns Dangote groups, had an estimated net worth of $14.1 billion in March. He was also ranked among the 100 richest in the world. As the richest man in Africa, Dangote had held the position for almost a decade. In 2014, he was ranked 23rd richest man in the world and in 2013, he surpassed the Saudi-Ethiopian billionaire Mohammed Hussein Al Amoudi by over $2.6 billion to become the world’s richest person of African descent. Mr Dangote, the president of Dangote Group, has several investments in humanitarian interventions through the Aliko Dangote Foundation in Nigeria and across Africa. The foundation, for instance, has made efforts to rid Nigeria and Africa of polio, malaria and mal-nutrition. Mr Dangote has also made significant contributions to the establishment of the Business School complex in Bayero University, Kano; the University of Ibadan Business School, among others. He has also made donations to the World Food Programme as part of efforts to assist Pakistani people devastated by floods in 2010.